Some very interesting news from SportTracks. They have just partnered with Garmin. (See Press Release, below). Looks like SporTracks (mobi) will be easily able to be automatically updated from the online Garmin Connect. Sync down to the PC app: You have to be using CloudSync and the mobile sporttracks for this to sync to your PC SportTracks app. Great news though. 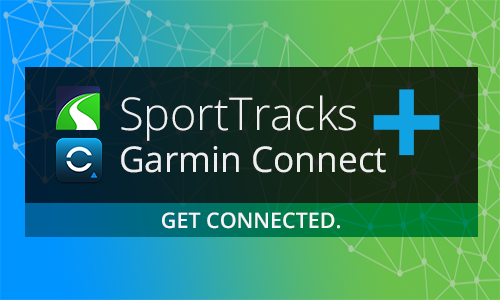 as people ‘grow out’ of Garmin connect and start to want much more deeper or unusual analyses then they can much more easily migrate across to SportTracks. DURHAM, N.C. – SportTracks, a fitness application company that helps elite athletes achieve their training goals through data analysis and metric­driven training, today announced a partnership that will allow millions of Garmin Connect users to seamlessly view their data in SportTracks applications. Garmin Connect is a free online fitness community that allows users to analyze training progress, set and track goals, and share activities with other Garmin Connect users or on social media sites. When logged into SportTracks, users can link their Garmin Connect account to automatically sync. Once the accounts are linked, users’ activities are immediately viewable on SportTracks. Averill said the response from athletes in a beta test of the integration between SportTracks and Garmin has been overwhelmingly positive. SportTracks provides insight that matters through custom analysis and an athlete­centered design. From logging workouts to detailed analytics and community support, SportTracks gives athletes the tools and resources necessary to safely achieve their goals. SportTracks offers both SportTracks 3, a Windows application and SportTracks.mobi, a mobile­friendly web app. Garmin Connect is a free online fitness community that allows users to analyze training progress, set and track goals, and share activities with other Garmin Connect users or on social media sites. Relive a run, evaluate heart rate, compete on segments and join online challenges for extra motivation to reach fitness goals. Additionally, users can plan their workouts, or grab a training plan to send directly to their compatible Garmin device. I’m currently beta testing the integration for sport tracks and it does indeed update the desktop version. Though if you use the post import plugin that won’t run on the workout data file that comes in via sporttracks.mobi.